Oil prices declined on Friday, with Brent slipping from the $70 mark reached the previous day, but both main contracts were set for weekly gains on mounting geopolitical risks. Brent crude futures dropped 25 cents to $69.15 a barrel by 1204 GMT, having touched $70.03 in the previous session, its highest since November 12. US West Texas Intermediate (WTI) crude fell by 13 cents to $61.97, having hit their highest since November 7 on Wednesday at $62.99. Brent and WTI are on track for their second and fifth consecutive weeks of gains respectively, capped by concerns that an economic slowdown could dent fuel consumption. “At the heart of this late retreat in oil prices were lingering trade jitters,” said Stephen Brennock of oil brokerage PVM. The United States and China, the world’s two biggest oil consumers, could be close to ending their trade dispute, though some hurdles remain. US President Donald Trump on Thursday said the two sides were “very close to making a deal”, though the United States remains hesitant to lift its tariffs on $250 billion worth of goods. “The geopolitics around Libya and Venezuela, alongside the possible reflation of risk appetite on positive US-China trade talks, may well pull the market out of its morning doldrums,” Harry Tchilinguirian, global oil strategist at BNP Paribas, told the Reuters Global Oil Forum. Eastern Libyan commander Khalifa Haftar ordered his troops on Thursday to march on the capital Tripoli, escalating conflict with the internationally recognised government. 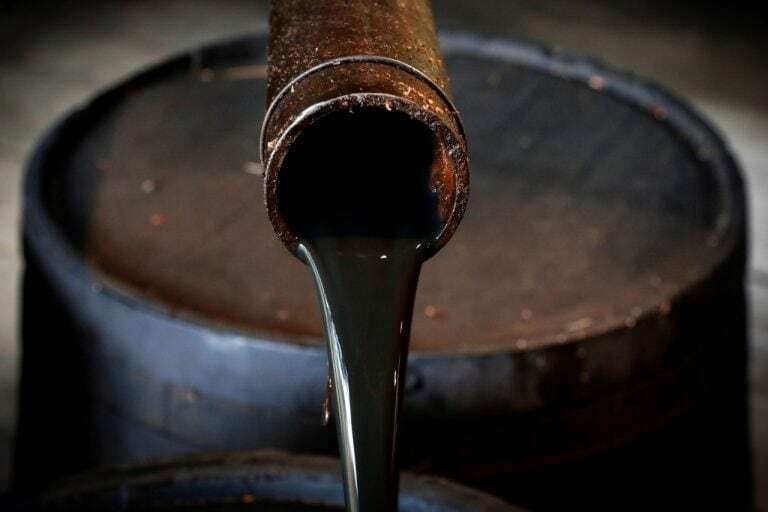 Any potential oil outages in Libya would “noticeably increase the pressure on Saudi Arabia to open up the oil tap again, as it did in the autumn”, Commerzbank said in a note. The Organization of the Petroleum Exporting Countries (OPEC) and producer allies such as Russia agreed to cut output by 1.2 million barrels per day (bpd) this year to prop up prices. Venezuela’s deputy foreign minister on Thursday said he does not rule out that more Russian military personnel could arrive in Venezuela under agreements already concluded between the two countries. Somewhat undermining the OPEC-led effort to prop up the market is surging US oil production, which rose to a record 12.2 million bpd last week, official data showed. As a result, US crude oil stockpiles soared last week, the Energy Information Administration said on Wednesday.